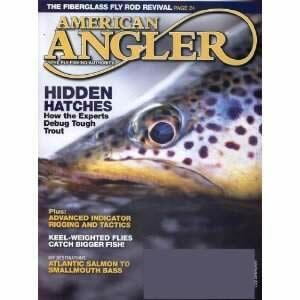 Below are other fishing magazines you may like. Saltwater sport fishing news at its finest! 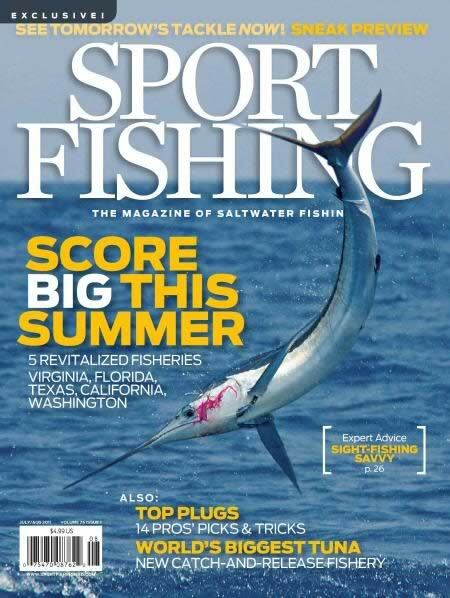 The publication of Sport Fishing magazine began in 1985. They are dedicated to providing the most up to date and cutting-edge information available for saltwater anglers. Issues regularly include tackle reviews, gear reviews, extensive reviews of boats and engines, updates and opinions on marine electronics and other equipment. Want to know where to go next to catch great saltwater fish? You'll find lots of information and advice on where to go and what the "hottest" fishing destinations are. If you're looking to improve either onshore or offshore fishing techniques, this is a great place to start. Their informative articles cover deep sea fishing, surf fishing and much more. They are now considered the leading magazine in North America for saltwater fishing, with their subscribership topping the 100,000 mark. Published 9 times a year.